I can still see my dad coming through the door with a big grin on his face. It was the summer of 1984 and he was carrying a record in his right hand. That sight was actually quite familiar because back then dad worked at a radio station and he made a habit of “borrowing” records overnight. He would tape them on a scrap tape and then add the song to the mixtape in his expansive musical library where he thought it sounded best. The next morning he would slip that record back into the pile at work and act as if he never had it in the first place. On this particular occasion it was a group called Wham! That had put the smile on his face. He was barely in the door when he began telling me about the song and how I had to hear it, right then and there. I followed dad upstairs and curled up in his big green arm chair as he fiddled with his turntable before turning to put his headphones on my head. I had just turned thirteen and was already familiar with Wham! It was that pretty boy George and the other guy. They wore short shorts while dancing around in big “choose life” shirts. Bubble gum pop wasn't exactly dad's thing so I was a bit shocked by his excitement, until the music started. I sat listening, just melting into the saxophone and the smokey vocals of “Careless Whisper”. I looked at dad and he knew that I totally got it. I couldn't put my reaction into words any better than him, but I shared his excitement. Thirty-two years later nothing really compares to the feeling of finding a piece of music that, for whatever reason, resonates. It's private and it's personal, yet it's a feeling that millions of people understand without any explanation ever being needed. Learning of George Michael's death was like a knife piercing through my thirteen year old heart. It's a feeling that 2016 has brought my way a few times too many. Musicians like David Bowie, Glenn Frey and of course, Prince. Sitcom parents like Florence Henderson and Alan Thicke. Hell even fake villains like Stefano DiMera on “Days Of Our Lives” wasn't safe from the grim reaper that this year ultimately turned into. Online conversation echoes what has been said at work around the proverbial good old water cooler- and that's that 2016 needs to just stop already. Those of us that came of age in 1980-something need the sadness to stop and we need to roll into 2017 with at least some of our childhood icons untouched. I mean, have you really thought about why the collective loss of so many celebs seems to be cutting so many of us to the core? I don't know about you but I feel that with every death I feel just a little bit older. The sometimes harsh reality is that those of us that were teenagers when Headbangers Ball was first a thing and when dressing in the perfect mix of neon, lace bows and rubber bracelets were a fashion “do”, aren't getting any younger. In fact, we are teetering around age fifty, give or take a few years. Fifty. Remember when thirty sounded absolutely ancient? Now add two decades. I can still rap right along with the Beastie Boys, but I have a husband, kids, a house, grand babies, work stress and all sorts of daily multitasking to accomplish. I'm at an age where I'm fortunate to still have my parents but many of my friends have buried theirs. It's also a time in my life when so many around me have waged their own life and death health battles that I can't help but wonder when it'll be my turn. Sometimes the only thing during the day that takes me back in time to when finding the perfect shade of Princely nail polish was my only care in the world is spending four minutes in the car listening to “When Doves Cry” on blast. like this. The internet, with its' developing stories, instantaneous tributes and social media platforms that allow us to grieve side-by-side with complete strangers has also made the death of Michael, Bowie and Prince that much more palpable. It hurts to think that there will be no more new music, interviews or live appearances and it's now okay to admit that hurt, because it has become a hugely shared experience. One that actually seems to somehow help. Why is it that we appreciate people a little more after they draw their final breath? 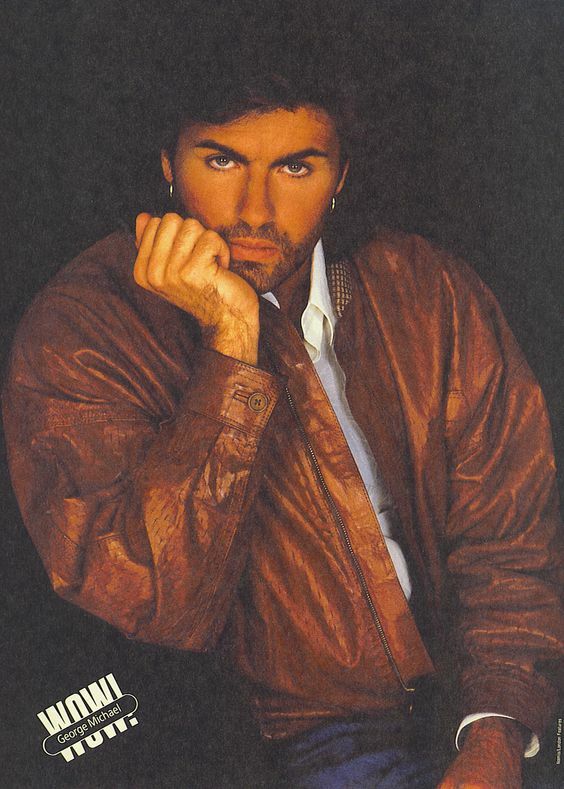 I've been listening to George Michael all morning long- wondering why I don't do it more often. How is it that people end up being placed on a glass pedestal after their death rather than being fully appreciated while they are here on earth? I'll be just as glad as everyone else to slam the door shut on 2016 and I'm going to cross my fingers and hope really hard that January will be the start of a gentler year. But the lessons of this ones haven't been lost on me. Nothing and no one is permanent. I'll appreciate people and their talent while it's unfolding in front of me. Assuming that they'll always be there when I have more time or feel like paying attention is just foolish. Oh and that bucket list? Well, maybe it's time to buy the damn tickets rather than waiting until the next tour... next year... or eventually. I added George Michael to my concert bucket list after Prince died and well, I should have seen him when I had a chance ten years ago. I regret not doing it now. Next year I will buy the tickets, spin the vinyl lining shelves in my office and be grateful to have experienced the likes of Prince, Madonna and George Michael in their heyday.